For registration to the conference, send an e-mail to vigan2012@icomosphilippines.com. Note that seats are limited. We will accept participants on a first come, first served basis. Payment of conference fee confirms your slot. Note that the fees do not include transportation to/from Vigan and accommodation there. The City Tourism Office of Vigan, Ilocos Sur can assist you in looking for accommodation. You may contact the office at (077) 7228776 or admin@vigancity.gov.ph. Registration begins at 8 a.m. of Wednesday, November 7, 2012. 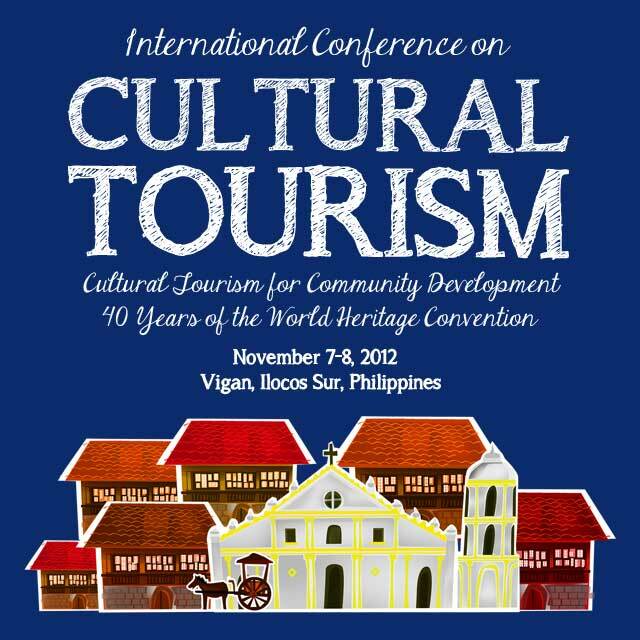 Conference will end at 5:30 p.m. of Thursday, November 8, 2012.
International Council on Monuments & Sites Philippines, Inc.
Scan and e-mail a copy of the deposit slip to vigan2012@icomosphilippines.com. Keep the original slip and present it when you register during the conference. You will need the deposit slip to claim your conference ID, kit and official receipt. i believe i sent a few emails regareding the one open for the public and i have not gotten any reply yet. there is no tel num or any office i can follow up so i am trying my luck here. i have booked my flight to vigan already so this must push through. i want to know if the slots for the public are still open. i am ready to pay for the P3.5k as mentioned in my email.